Foster The People is an American indie pop band formed in Los Angeles, California in 2009. They’re most well known for their 2011 album Torches and the single that spawned from it “Pumped Up Kicks”, which would go on to be one of the biggest songs of the year. The song is upbeat, catchy, and instantly recognizable, but it harbors a dark message and story that is just as important today as it was six years ago. The three man band that is Foster The People. The song is about a kid named Robert, who dreams of violence towards his classmates and peers. He outlines his plans for a school shooting, and the song dives deep into what drives his ambitions for indefensible violence. The lead singer and writer of the song Mark Foster stated that he “was trying to get inside the head of an isolated, psychotic kid.” He masterfully uses the upbeat peppiness of the song to mask it’s true meaning and purpose. This makes the song not only insanely catchy, but also haunting by showing how Robert can be so upbeat about these heinous acts he wants to commit on his peers. 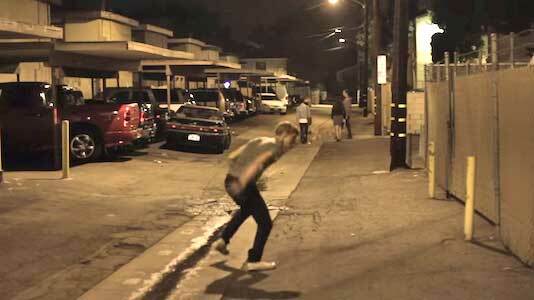 Mark Pontius wearing chucks in an alley. The music video has absolutely nothing to do with the song, which is not necessarily a bad thing when you consider the graphic and horrific nature of the song’s lyrics. Rather, the music video focuses on the band as they get ready then perform at a show. 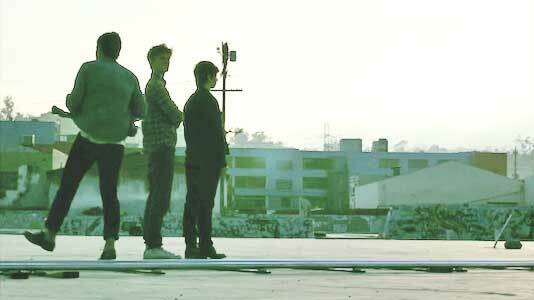 They’re seen wandering around the city, throwing a frisbee around a rooftop, and playing in front of their fans. The drummer, Mark Pontius can be seen wearing a pair of all white chucks in the rooftop and city portions of the video. The video how much enjoyment you can get out of life with your friends by your side, which is a great foil for the bitter loneliness of the subject of the song. The band enjoys a sunset view over the city.